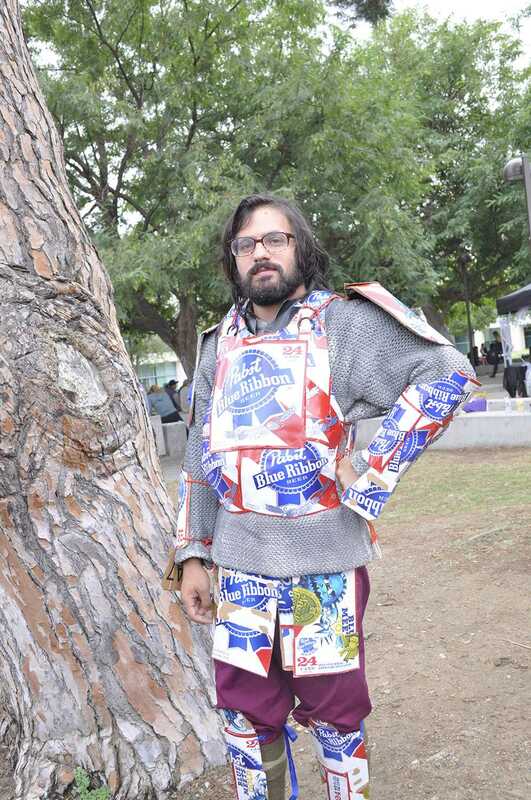 Halloween is the time of year for people to dress up as what they want. For some, it’s an opportunity to show off their creativity and ingenuity. “I love Harry Potter, I love Newt Skamander because he is very socially awkward and so am I. I love the outfit he wears, the color choice and color scheme and everything,” Marvin Chowdhury, 19, Cell and molecular biology. “I always loved Spider-man, Andrew Garfield is my crush. 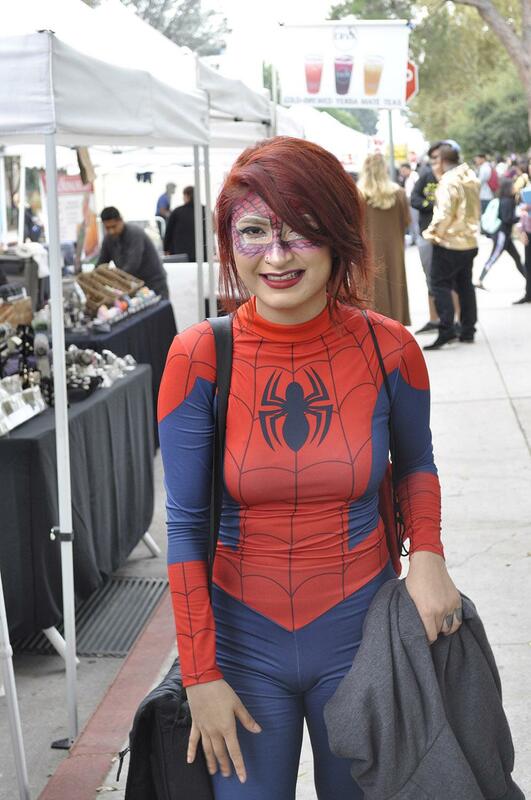 I went to San Diego Comic Con and after going there I thought I need to step it up,” Angie Medrano, 24, Psychology. 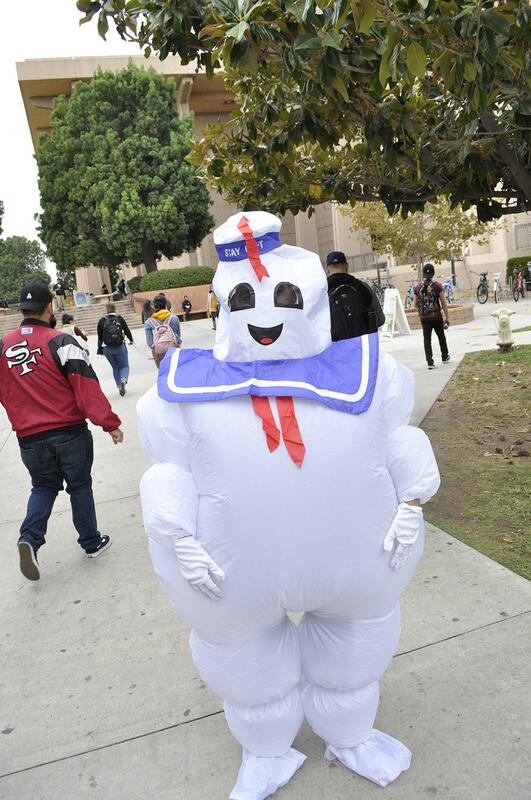 “It was either dress up as the dinosaur from Jurassic Park or Marshmallow Man. 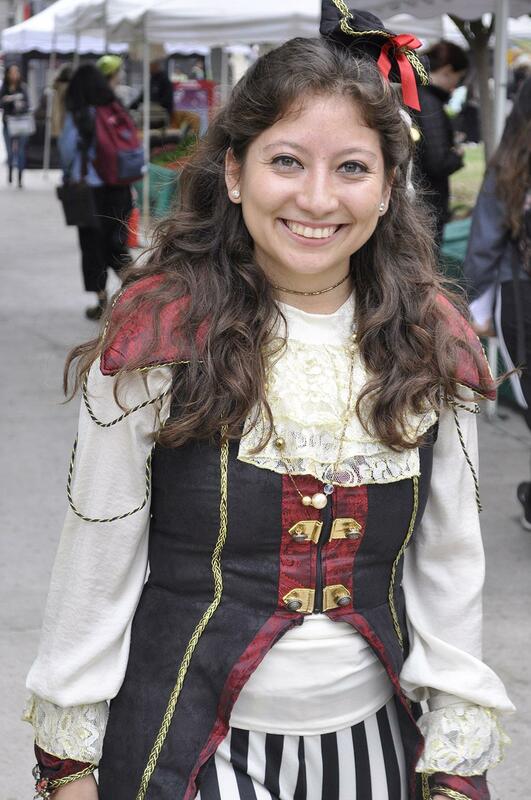 I love it, I wasn’t too convinced until I put it on and I thought I love it and everyone else seems to enjoy it,” Rene Novoa, 20, Sociology major. “I worked hard on it and thought I’d show it off. I saw a couple pictures on the internet of people doing something similar and thought I’d give it a try. 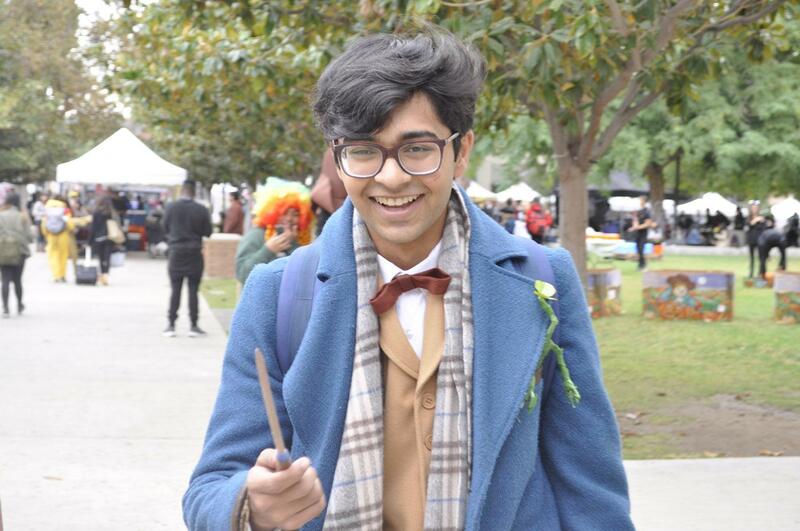 It’s probably the hardest I’ve ever worked on anything in my entire life, it took hours just hunched over cutting cardboard to make it,” Chris Geozian, 25, Geology major. “I’ve always loved Pirates and I found it at the store and it had a great quality to it. It just came with the cuffs and the pants but I really thought about the shirt,” said Vannessa Fuentes, 25, Masters in Public Health. “The joker is a really interesting character, I’ve always been intrigued by him and I think dressing as comic book villains is really fun. 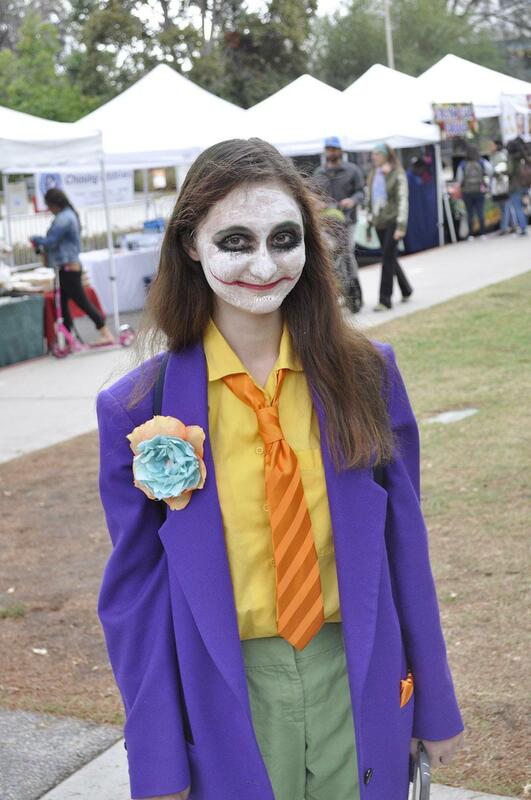 I went for a mix of different jokers over the years and ended up going with that,” Alyssa Landrith, 19, Theater Major. No Bull 11 : Game 7- This is It!